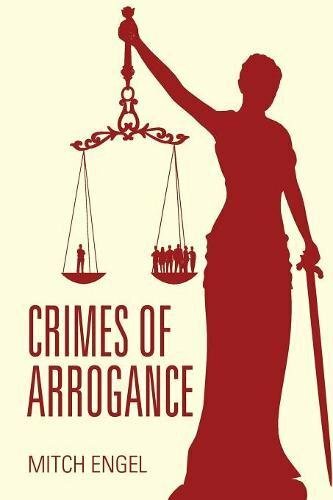 Once I started reading “Crimes of Arrogance” by Mitch Engel, I found myself unable to put it down until my eyes were too blurry to continue! Waking up early, after a restful sleep, I got up and finished it before I had to go into work. “Crimes of Arrogance” is an incredibly well written detective murder mystery. The protagonist is a mystery writer who was a cop until he got shot. He also happens to come from an obscenely wealthy family. Not comfortable with his wealthy heritage, Webb Tremont had always tried to do things his way, without touching his trust fund. After he is unable to continue in law enforcement, he starts writing a series of books about true crimes. When his books get turned into a TV series, he predicts that it will fail. Just as his prediction is about to come true, a secret group, which gets named, “The Cop Show Copycats,” starts recreating the crime scenes from each episode. This attracts the public’s interest in the show. Initially, the copycats are having fun without anybody getting hurt. They actually donate large sums of money to good causes. As the series progresses, so does the intensity of the crimes. The public initially sees the group as modern day Robin Hoods, but when people start dying, their opinion starts changing. A psychopath with an agenda against the Tremont family is a member of this group. In addition to targeting innocent people, he also starts going after people in the group who do not want to be a part of his true agenda. Webb works with the FBI to try to find out who is behind the assault on his family and the community. What he discovers completely throws him for a loop. This story is comprised of many complex layers. Just when I thought I had everything figured out, the author manages to throw me for a loop. The characters are well developed and I liked being taken into their minds to gain an understanding of how and why they function like they do. Even the unlikable characters are extremely complicated and twisted. I highly recommend reading “Crimes of Arrogance” by Mitch Engel and look forward to reading other books by this author.